The expert in Integration of the Olympic Village from the Rio 2016™ Organising Committee, Bruno Souza, visited Casa Brasil and honored his son using the new font. 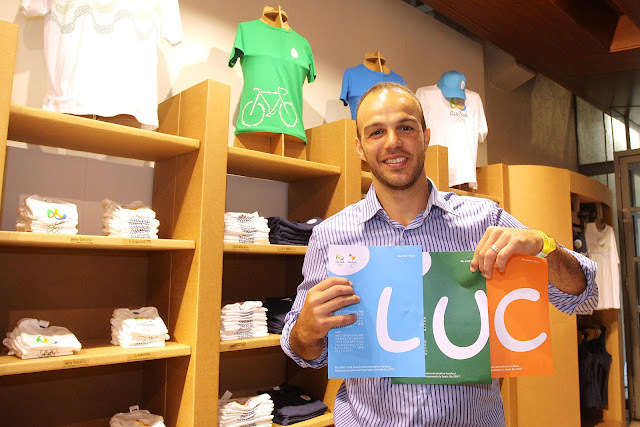 In Rio 2016 ™ he works on the staff of the Olympic Village and NOC/NPC Services Director, Mario Cilenti. Bruno, who was named best handball player in the world in 2003, scored the title of the Pan American Games in Santo Domingo in 2003. In the Athens Olympics was team's top scorer with 28 goals.